Make this casserole and watch it disappear ! The is good old all American food and it feeds a crowd ! Preheat oven to 450 degrees. Mix broccoli florets with 1 T oil and toss to coat them lay on a baking sheet and cook 15 minutes, stirring once halfway through. Heat 1 T oil in a skillet and add onion and sauté 3 minutes then add beef and cook 10 minutes or until beef is browned. Be sure to break up the clumps of beef as it cooks. 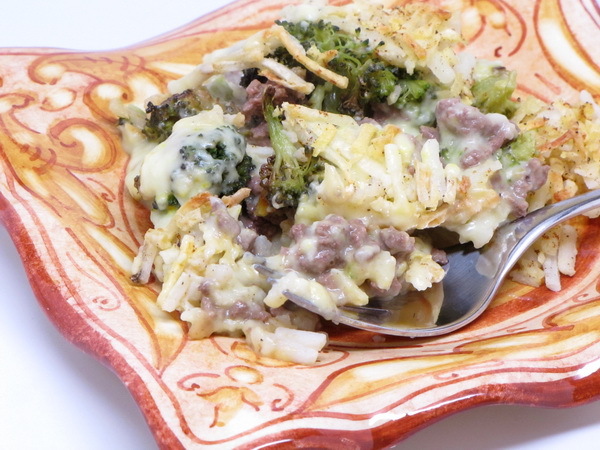 Add Worchestershire, garlic powder, onion powder, salt and pepper and spoon into a 9×13 baking dish then top with the broccoli. Whikh milk and starch and bring to a boil on medium high heat. Cook until bubbly and thick, about 8 minutes. Remove from heat and add in cheese, salt and turmeric. Pour over the beef and broccoli. Mix potatoes, egg, salt and pepper and spoon over casserole. Spray the top with a bit of Pam so it will brown nicely and bake 45 minutes or until brown. Sprinkle with paprika and serve. 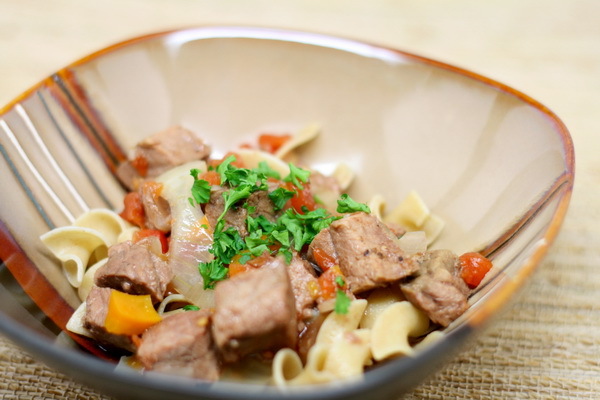 This is a tasty stew that does well stovetop or you can sauté the onions and then pile it all in a crock pot and cook on low 6-8 hours or high 4-6 hours. Spray a Dutch oven with Pam and heat on medium high. Add oil and then sauté onion 3-4 minutes. Add all the rest of the ingredients and reduce heat to low and simmer, covered, for 1 hour. Just adding some spices to ground beef before grilling it can make SUCH a difference. Don’t think that you need cheese and tons of condiments on a burger for flavor. Instead, try adding some lower cal herbs and spices to the meat and see what great burst of flavor you get ! Combine all the spices with the meat and make 4 patties. 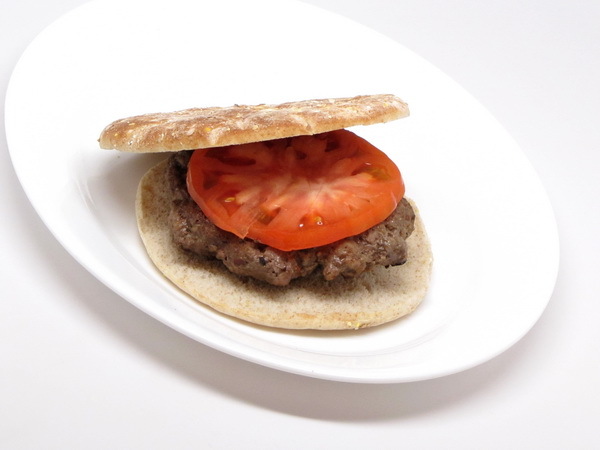 Grill burgers 6-8 minutes or until desired doneness. Serve on buns. Pulling another oldie for my Retread week – – hope you enjoy !! 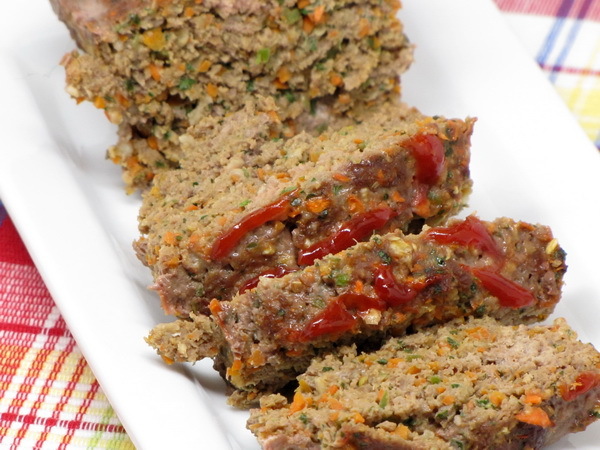 This is a really tasty meatloaf – it is packed with flavor, moist and all the things meatloaf should be 🙂 If you don’t have the individual pans, either make the individual loaves and just set in a baking pan, or make one big loaf. But if you make one big loaf then you will need to increase the baking time so that the center gets done. Preheat oven to 350 degrees. 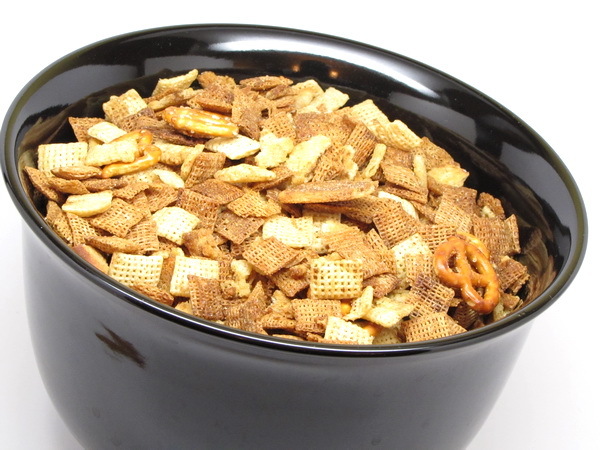 Mix milk and oats and let sit a few minutes. Put carrots, peppers, onions, parsley and garlic in a food processor or blender and mince. Add oat mix, eggs, Worcestershire, steak sauce, 2 T ketchup and salt. Add beef and mix well. If dry, add some cold water. 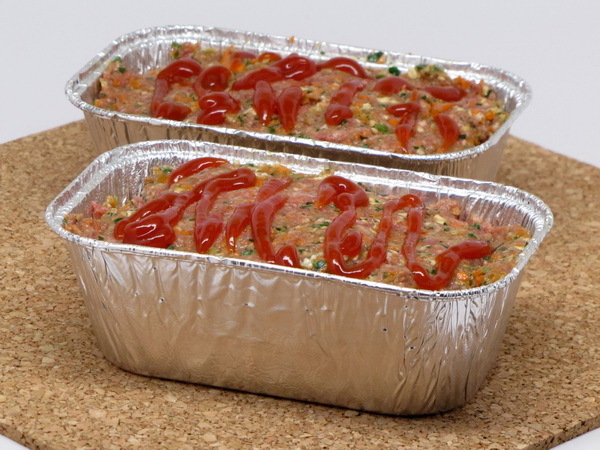 Spray 4 small individual sized meatloaf pans (I use the disposable ones available in all grocery stores) with Pam. Divide meat mix among the pans and spread 2 T ketchup over each. Place all the mini pans on a baking sheet. Bake 40-45 minutes and let stand at least 5 before serving. 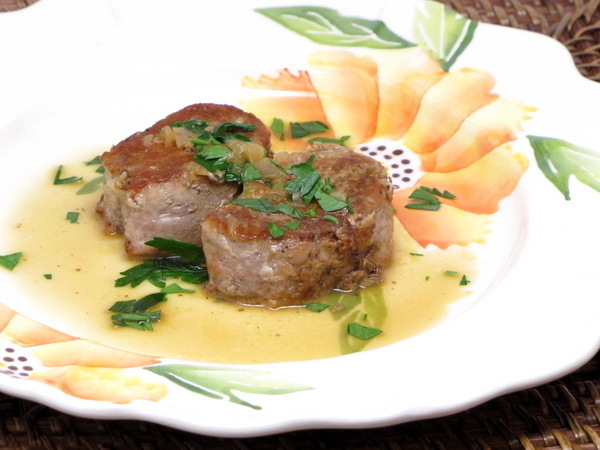 What a great pork recipe ! Any time you serve a sauce with something, it just makes it so much more special. And this sauce is special unto itself ! 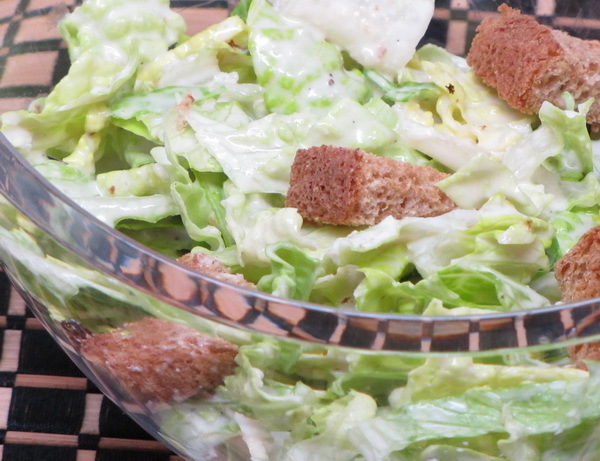 It is very flavorful with just the right amount of tang from the mustard and Worcestershire. Put the 2 together and you get a meal fit for a king ! Cut pork loin into 4 thick pieces and season with salt and pepper. Heat oil in skillet until browned, about 6 minutes per side. Also sear the edges cooking the pork for a total of 16 minutes or until done throughout. Remove pork and keep warm. Saute shallots in same skillet 2 minutes. Add wine and simmer until reduced by half. Stir in broth, Worcestershire, Dijon and lemon juice and simmer 5 minutes. Remove from heat and whisk in parsley, butter and Tabasco. Drizzle sauce over filets. You know the drill – if you’re using the grill, throw out the skewers and use a grill basket instead – it saves time, aggravation and the food turns out even better ! The meat in this dish is sooooo tender from marinating for hours in the tomato and vinegar based sauce. Mix the first 9 ingredients and pour half of the mix into a zip loc bag. Add the beef cubes and mix around. Pour the rest of the mix into another bag and add the veggies and mix around. Refrigerate both bags 1-4 hours. Heat a grill pan or basket on the grill and spray with High Heat Pam. Drain the veggies and meat reserving the extra marinate for later basting. Grill 7-10 minutes or to desired doneness stirring and re-basting occasionally. If you don’t want to grill this, you can preheat the broiler and place all on a baking sheet sprayed with Pam. Broil 5-6 minutes, turning half way through. Flavorful with or without the sauce ! 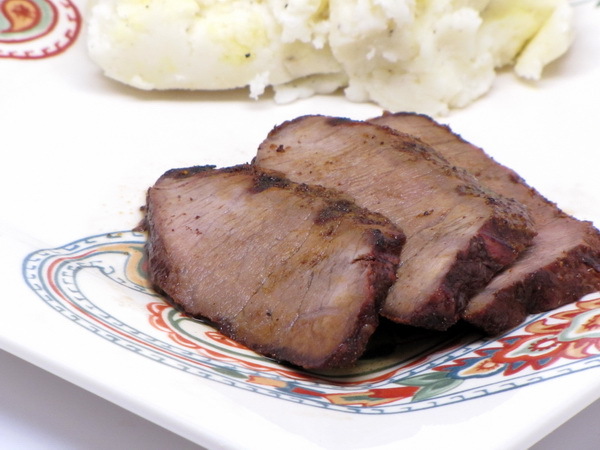 Grilled London Broil is one of my favorites, but sometimes it lacks flavor because it is a lean cut. 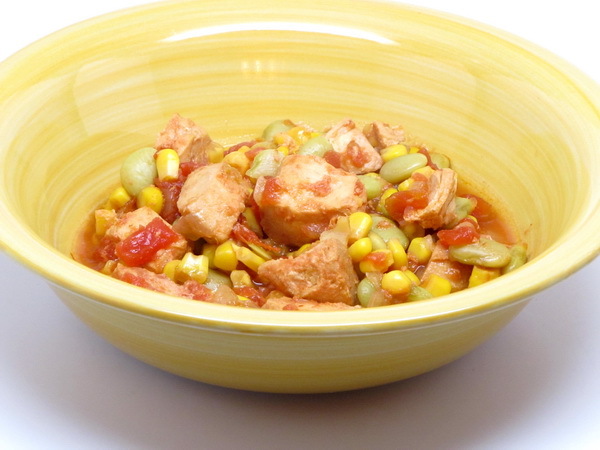 This recipe puts all the flavor back in…and then some ! Sprinkle meat with chili seasoning (go heavier on the seasoning if you wish – it adds miniscule amounts of calories) and pepper and then spray with Pam. Use short little sprays so you don’t blow the dry ingredients off the meat. This makes a nice spicy ‘paste’ and keeps the meat from sticking to the grill. Heat grill and cook meat 6-10 minutes per side or until desired doneness. 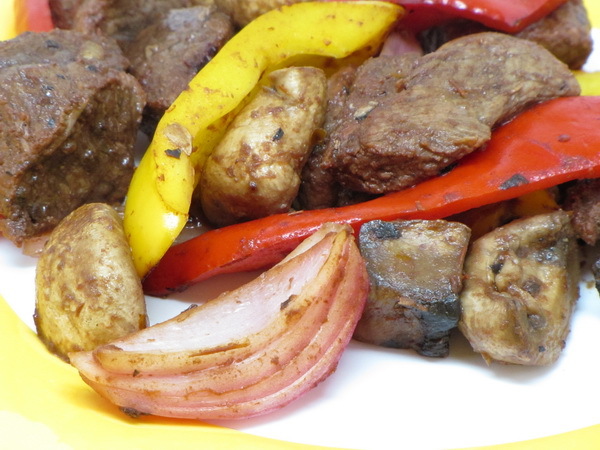 Alternately heat a skillet and cook steak 6-10 minutes or until desired doneness. Remove from grill or pan and tent with foil and let stand 5 minutes. Combine water, vinegar, coffee and Worcestershire and add to small pan and cook until reduced to ¼ c (about 5 minutes). Slice steak thinly and drizzle with sauce.